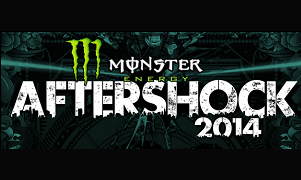 SACRAMENTO, CA (CelebrityAccess MediaWire) — The Monster Energy-branded Aftershock Festival will make a return to Sacramento, CA September 13 & 14, 2014 after a successful year in 2013. The lineup and the venue for 2014 have yet to be announced, but last year, the festival featured headliners that included Avenged Sevenfold, Korn, Five Finger Death Punch, Shinedown, Megadeth and Papa Roach among others. Produced by Danny Wimmer Presents, who also produce gRock On The Range, Monster Energy’s Welcome To Rockville, Monster Energy’s Fort Rock Festival, Monster Energy’s Carolina Rebellion, Epicenter–Southern California’s Rock Festival, Rockwave, The Big Ticket, and Monster Energy’s Rock Allegiance Tour. Last year's festival drew more than 32,000 fans – a sell-out crowd – to the two day festival.